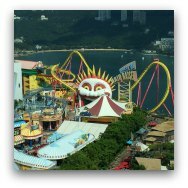 Hong Kong Family Hotels - Travelling With Kids? 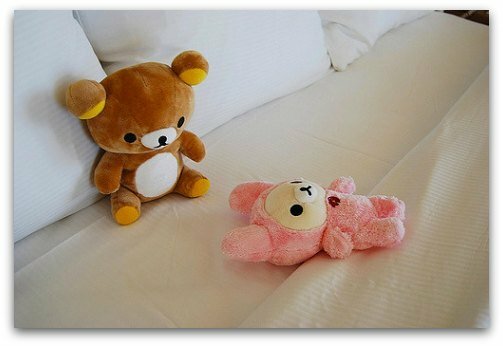 Travelling with children? 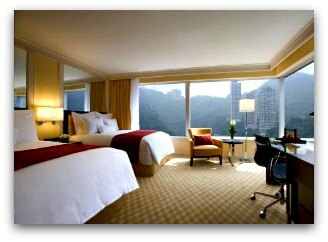 While all areas in the city are family-friendly, the challenge in Hong Kong is to find roomy accomodations. In a city where land is at a premium, you can expect smaller room sizes all-around, single and twin rooms are common, but triple, quad, and family rooms somewhat scarce. That said, here are a few choices that we have found quite good in the past when travelling with our kids. 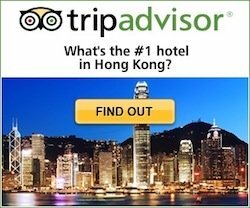 Not surprisingly, many of the properties offering spacious accomodations in central locations at more affordable prices are found in the Kowloon side. We also prefer this side as it feels more "pedestrian friendly" and not as "hilly" as the Hong Kong Island side with the many overpasses, which may be a bit more challenging if travelling with little ones in strollers. 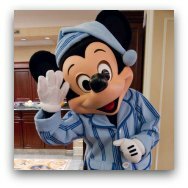 And of course you have the ultimate stay for families with kids at Hong Kong Disneyland Resort, which offers three very different options, the Victorian themed flagship Hong Kong Disneyland Hotel, the more relaxed art deco Hollywood Hotel and the newest addition, the Disney Explorers Lodge. For families, another great option is staying in an apartment or vacation rental. It involves a little more planning and research to find the right accomodation but it is well-worth the effort. 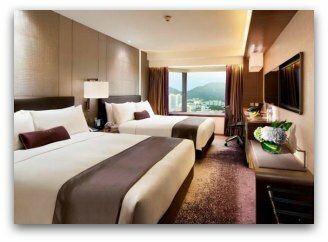 The Royal Plaza in the Mongkok area of Kowloon offers in general larger rooms than your typical double room in Hong Kong. 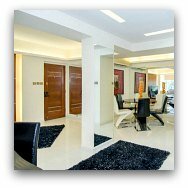 There are also family rooms (32 sq m) with two queen sized beds that will accomodate a family of 4. 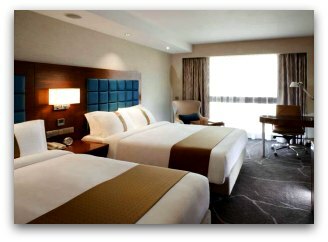 Junior Suites or Two Connecting Rooms (80 sq m) Rooms feature large floor-to-ceiling windows, go with the harbourview rooms, well worth it! 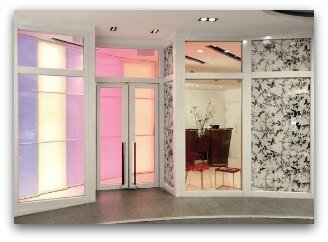 Butterfly On Prat is a stylish Boutique Hotel that offers excellent value in Hong Kong. 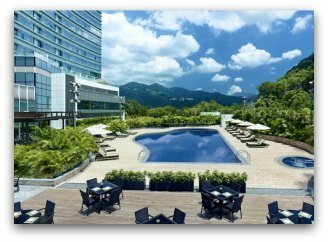 The Royal Garden in Tsim Sha Tsui East is conveniently located, just a five minute walk from the Tsim Sha Tsui East MTR station and Hong Kong's most epic walks, the Promenade and Avenue of the Stars in the waterfront. 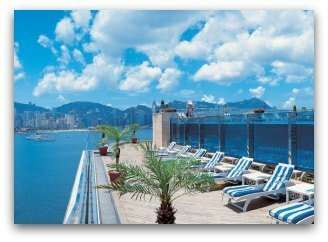 The Holiday Inn Golden Mile is one of the old timers in the heart of Tsim Sha Tsui. 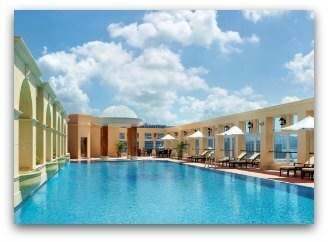 This hotel is located in the Central District in a top location in the Pacific Place Complex with direct access to the Admiralty MTR Station and Pacific Place Shopping Mall. Super convenient transportation connections: bus terminus, ferries, and Admiralty MTR station, a major traffic hub. 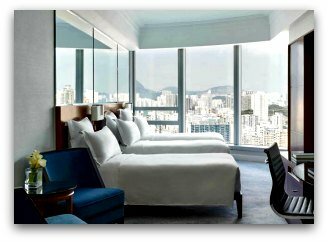 ›› The JW Marriott Hong Kong is a member of Marriott Rewards / Starwood Preferred Guest Rewards pay with points or accumulate some more! Located in the New Territories with fantastic views of the mountains and the harbour in the north, this hotel is not in the city but is a good option for those that want to get away from the hustle and bustle, have lots of space and great ammenities without the price tag. Larger rooms that offer lots of space for families: 115 - 120 sq meters Two-Bedroom Twin Suites accomodate 4, Family Studios accomodate up to 6. This is not in a central area where you can walk around and find a cafe/restaurant/market, but a great jumping off point to the Saikung Peninsula if you love the outdoors, 25 minutes from Lo Wu if you are heading to Shenzhen at the Mainland China border, and steps from Sha Tin Horse Racing.